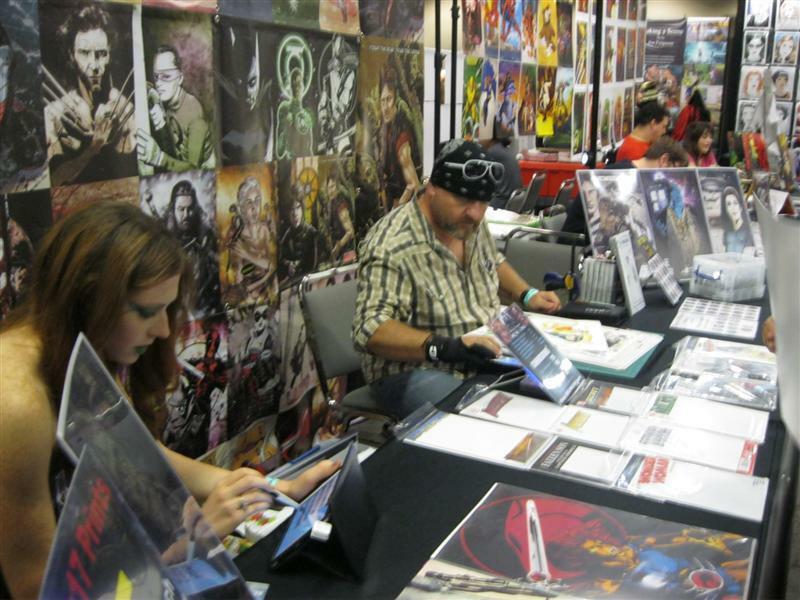 Alas, I was unable to procure the day off for the first day of Dallas Fan Days 2013. This inspired me to arrive bright and early on the second day. I was also inspired by the incoming weather - the first big cold front of the Fall was coming along with a rainstorm and I didn't fancy waiting to enter the convention outside. Thankfully, the lines this time were kept within the parking garage next to the convention center and the rain held off until the convention was well and properly started. I met this group of teens while waiting in line to get in. It was their first time cosplaying and I think they did a fine job. 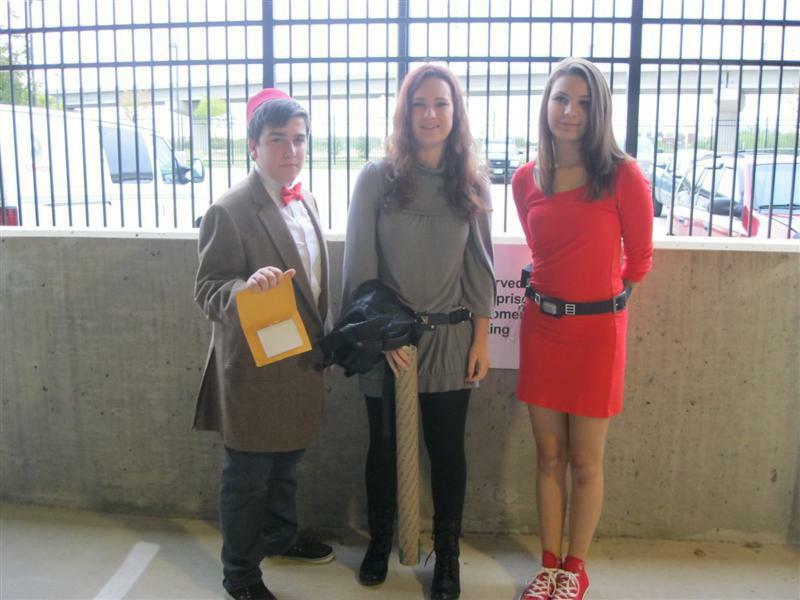 That's The Eleventh Doctor, Amy Pond and Clara Oswin Oswald for you non-Whovians out there. 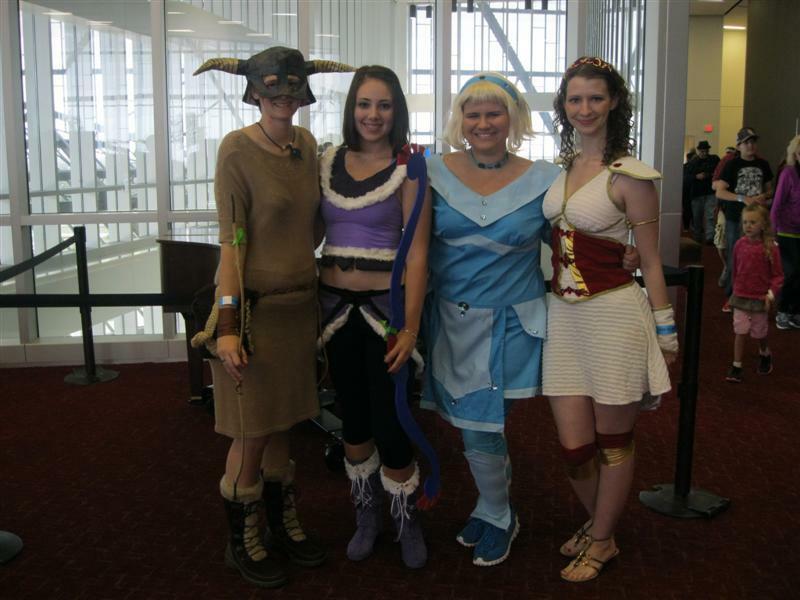 I don't know why the Dovahkiin is hanging out with the ladies from The Guild. And I'm too wise to question The Dragonborn. Reese of Reese's Pieces as The Goblin King from Labyrinth. 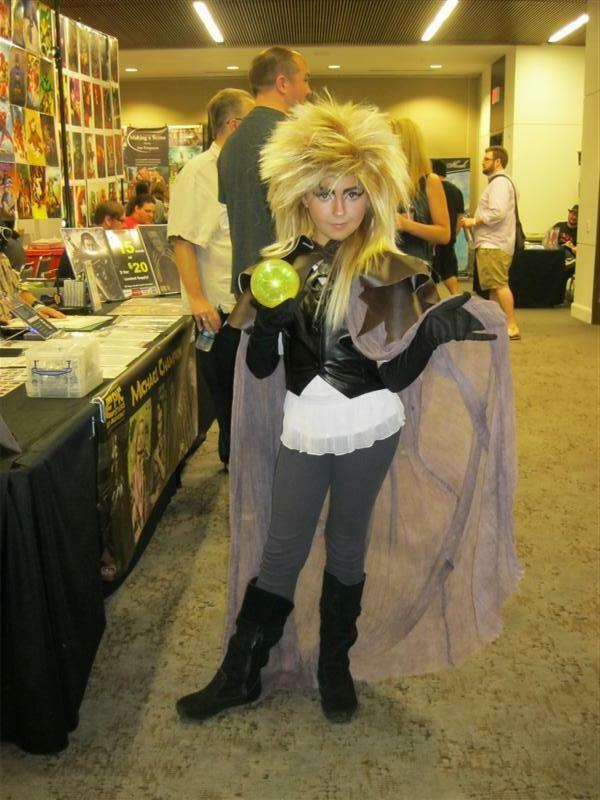 THE Taffeta Darling as Lo Pan from Big Trouble In Little China along with a dressed down Lhars. Sadly, I missed their Disney Villains group the day before, when they were Captain Hook and Maleficent. Looks like the wolf wasn't so big or bad after all. Michael Champion of Epic Studios - a great artist and a great man - hard at work. Rhianna - Epic Studios' chief model and marketing specialist - as Poison Ivy. Apparently I took this Wonder Woman's picture sometime last year when she was Batgirl. 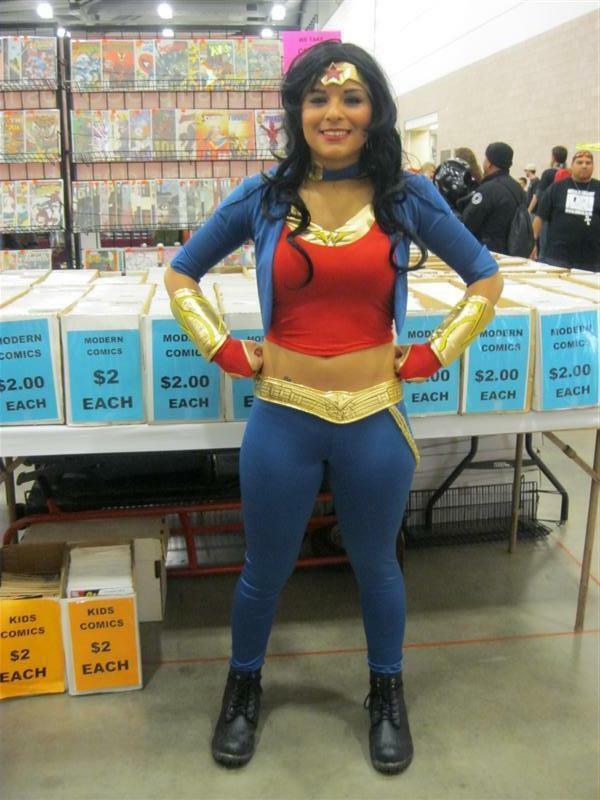 I''m afraid I didn't remember her, but this is a nice costume, regardless. 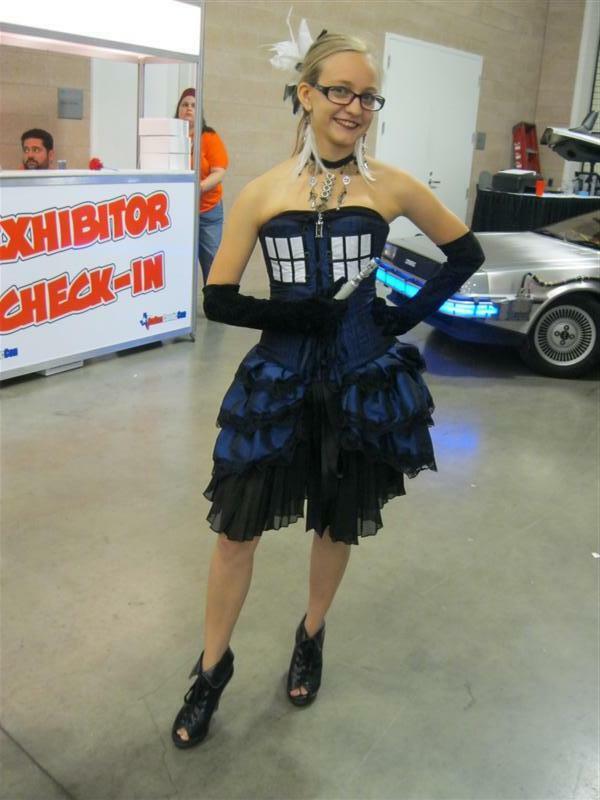 Quite possibly the most elegant TARDIS I have ever seen. I was one of the first to recognize Gozer the Gozarian as she stalked the floor of Dallas Fan Days. And yes, I did tell her I was a god.